Scientists believe they may have discovered the reason why common starfish are prone to mass beach strandings during strong wind and tide conditions. Researchers at Plymouth University have observed the species Asterias rubens rolling along the seabed with arms curled into a spheroid shape – a phenomenon they’ve termed ‘starballing’. It’s not yet known whether the technique is a deliberate one that helps the otherwise slow-moving species to change their location, but some were recorded raising a single arm into the water column prior to moving as if to test the conditions. The discovery was made during a video survey of Kingmere Marine Conservation Zone, off the coast of Sussex, in 20-metres of water. The starballing was recorded during a video survey in September 2013 using high definition cameras attached to a sled, as part of the PANACHE project, funded by INTERREG IV and the European Regional Development Fund. Unlike traditional benthic or scuba diving surveys, the array floated comfortably above the seabed, which meant it could be conducted during the rougher conditions at the time – which potentially explains why this behaviour had never been recorded before. 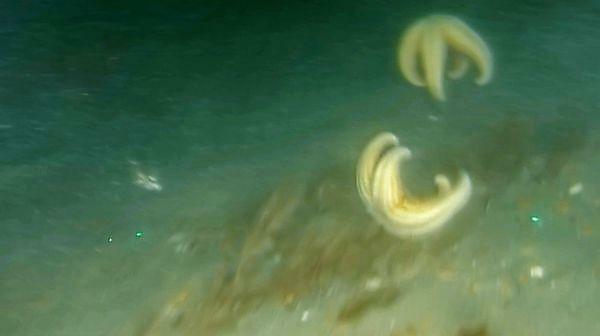 Analysing the pictures later, the scientists found that as the tidal flow increased to 0.5 metres per second, the starfish were rolling over the seabed with the arms curled into a ball. Around 30 per cent of the starfish in the area were observed to be rolling, and some were seen to raise a single arm into the water column as if to test the speed of the flow. Starballing: a potential explanation for mass stranding is published in Marine Biodiversity.